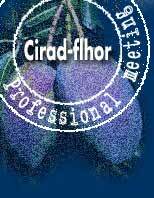 CIRAD-FLHOR's mission in the technology and mastery of the quality of fruits and vegetables is that of being able to provide back-up for the development of sectors by operating at the level of each player. Contribution to a better quality local diet, the improvement of growers' incomes and the better matching of production to markets are sought in a foodstuff-quality-security approach. the development of technologies suited to markets and raw materials. food security / economic development (southern countries). fresh and processed technology in close relation with yield and quality constitution components. The international tropical fruit and citrus juices market: review and perspective. Although it is difficult to find accurate, reliable statistics, we can nevertheless affirm that the market for practically all citrus juices and all tropical fruit juices is growing slowly but steadily at both the global scale and that of the European Union. The analysis and interpretation of official data and above all permanent contacts with economic operators in the fruit juice sector led us to reaching this conclusion. I shall analyse the European market situation product by product (orange, grapefruit, lemon, pineapple, mango, passion fruit and banana), but it can already be stated that the fruit juice market at the beginning of the twenty-first century is characterised by two new, important trends: 1) business concentration at all levels in the production and distribution chain; 2) the emergence and very rapid development of demand for NFC (Not From Concentrate) and organic products. Demand in industrialised countries for juice prepared from exotic fruits has been growing for several years, essentially because of the success of exotic 'multi-fruit' or 'cocktail' juices available as pure fruit juices, juices prepared using concentrate, nectars and fruit juice beverages. The harmonisation of international standards (ISO, HACCP, CODEX), the recognition of European standards (AIJN) and increased awareness of the public and governments with regard to food safety have led producers to optimise their manufacturing processes and quality systems in order to supply increasingly healthy products of good taste quality at a competitive price. Industrial production of juice from exotic fruits thus uses simple principles aimed at healthy, rapid juice production with optimum yield and conservation of the sensorial and nutritional characteristics of the raw material. Significant examples of the optimisation of processes and qualities applied to the manufacture of juices from exotic fruits are presented. Pure Florida citrus juice (orange, white and pink grapefruit): description of pressing procedures and automated aseptic technology producing high quality pure citrus juices. Some of these juices are stored in aseptic tanks with a capacity of 1 million gallons (3.87 million litres). Mango purée from Mexico: presentation of a specific line of mango purées and concentrates packed in aseptic drums. Banana purée from Ecuador: details of the critical points related to banana purée manufacture. Pure pineapple juice from Côte d'Ivoire: presentation of the optimisation of a pressing and packaging line for pure pineapple juice in aseptic cases. Potential for the production of organic pineapple juice. Guava purée from Thailand: examples of physicochemical criteria used in the quality control of raw materials (purées). Clarification and concentration of fruit juices using membrane techniques (osmotic evaporation, tangential microfiltration). The clarification of tropical fruit juices by tangential microfiltration makes it possible to assemble a large range of new products. However, in spite of this potential, it is very difficult to clarify fruit juices with high pulp contents. The combining of filtration and enzymatic liquefaction is an interesting alternative for facilitating the operation. In this context, the joint effect of filtration conditions and enzymatic treatment has been studied mainly in passion fruit juice. An economic strategy was devised to enable the continuous production of clarified juice. The procedure can be used for pulpy fruit juices without generating wastes or by-products. The advantages of immobilisation on a support in a bioreactor in order to reduce enzyme consumption have also been evaluated. Fruit juices can also be concentrated in order to reduce transport and storage costs. Concentration is frequently used for tropical fruit juices because of the distance between production and consumption zones. Consumer demand is currently tending towards fruit juices that conserve the sensorial and nutritional qualities of fresh fruits. However, conventional concentration techniques cause substantial losses of aroma and vitamins. In this context, the study is aimed at evaluating the industrial advantages of osmotic evaporation, a new cold concentration process. The issue is that of proposing to professionals a technique that better conserves the quality of their product. Osmotic evaporation is a new membrane process, consisting of interposing a porous hydrophobic membrane between the fruit juice to be processed and a concentrated saline solution. The difference in water activity between the two solutions creates a vapour pressure gradient in the membrane pores, that remain filled with air. This spontaneous phenomenon causes a transfer of water from the fruit juice to the brine without the need to heat the product. Tests performed on passion fruit juice at 30°C under industrial conditions showed that the technique can be used to achieve a soluble dry extract (SDE or Brix) of at least 60 %. The evaporation flow depends on the treatment conditions. A flow of 0.65 kg.h-1.m-2 was measured during juice concentration from 14 to 40% SDE. It decreases to 0.50 kg.h-1.m-2 between 40 and 60% SDE. The use of two osmotic evaporators in series improves the throughput. This configuration makes it possible to achieve an average evaporation flow of 0.62 kg.h-1.m-2 to produce 60% SDE concentrate. Under these conditions, continuous concentration can be performed for more than 20 hours with a constant evaporation flow. The results of sensorial analyses revealed improved colour, taste and aroma of the juice in comparison with thermal concentration. Furthermore, the osmotic evaporation technique has the advantage of conserving almost all the vitamin C in the product thanks to the low process temperature. Application of flash-release, a new extraction procedure (juice, pulp, essential oil). The example of mango and passion fruit. Flash vacuum-expansion, a new process for the treatment of plant materials, enables the production of food products (juices, purées, etc.) whose physicochemical and rheological attributes differ from those of products obtained by traditional methods (i.e. blanching, crushing and pulping). Briefly, entire fruits are first steam-heated to 60-90°C and immediately placed in a vacuum chamber (2-5 kPa) where they expand and disaggregate because of the formation of micro-channels inside the tissues by evaporation of water and volatile compounds. Endogenous oxidases are denatured during the steam-heating stage and as the expansion process is performed under vacuum the oxidation and subsequent browning of the products are avoided. Processed materials exhibit higher viscosity than those of traditional products and also differ in colour. This process is increasingly used for pre-treatment of grapes before fermentation in winemaking and for the production of more viscous, better-coloured tomato pureé. Three tropical fruits (passion fruit, guava and mango) were processed by flash vacuum-expansion and further refined. Reference (A) and vacuum-expanded (B) products were then characterized for cell-wall polysaccharides and viscosity and the results were compared. Finally, the process was applied for the extraction of essential oils from citrus peel. Pineapple, the eighth fruit in terms of world production with nearly 13 million tonnes per year, is practically monovarietal with the Smooth Cayenne variety. With the aim of varietal diversification, Cirad-flhor has been conducting a breeding programme for more than 20 years using in particular crosses between Smooth Cayenne on the one hand and the Colombian varieties Perolera and Manzana on the other. Of the 40,000 hybrids resulting from these crosses and displaying varied characteristics (agronomic performances, fruit morphology, suitability for cold storage and organoleptic characteristics) only about ten are currently in the final evaluation phase. The Cirad-flhor Chemistry-Technology laboratory analysed certain quality components (skin and flesh colour, flesh aromatic composition, flesh sugar content and titratable acidity) in seven selected genotypes resulting from the crossing of the parents mentioned above. The analyses were performed during maturation (from the green stage to the very ripe stage). The Smooth Cayenne parent served as reference. The pigments responsible for skin colour (except for chlorophyll, that is to say after degreening)-carotenoids (yellow to orangey) and anthocyanins (pink to purple)-were extracted and either assayed as a whole by measurement of optical density or separated and identified by high performance chromatography. The flesh aroma components were extracted, separated and identified by gas phase chromatography combined with mass spectrometry. Skin colour at maturity results from a balance of varying proportions of carotenoids and anthocyanins. Thus, the reference parent (Smooth Cayenne) and one of the selected hybrids with the same carotenoid content (3 mg/g fresh weight) displayed very different skin colours at maturity, with Smooth Cayenne being orangey yellow and the hybrid purple/scarlet. The difference is explained by a 50% higher skin anthocyanin content in the hybrid. Likewise, the flesh of one of the selected hybrids was a distinctly more intense golden yellow than that of Smooth Cayenne as a result of a total carotenoids content 2.5 times higher than in the latter, making this hybrid an interesting source of carotenoids. At the ripe stage, the flesh aroma components of the hybrids and the Smooth Cayenne parent were observed at similar concentrations (30 mg/kg). Whatever the genotype and the state of maturity, esters (e.g. methyl acetoxy-3-hexanoate), thioesters (e.g. methyl 3-methylthiopropanoate) and furanones [e.g. dimethyl-2,5 hydroxy-4 furanone-3(2H)], typical components of the pineapple aroma, are dominant. Nevertheless, differences in relative proportions are observed, together with very distinct evolutions during the final phase of maturation [e.g. in one genotype the quantity of dimethyl-2,5 hydroxy-4 furanone-3(2H) decreases from 2 mg/kg to 0 from the ripe to the very ripe stage]. These variations that occur at the stage at which the fruit is eaten must be correlated with sensorial analysis. Tropical fruits are increasingly present on European markets and increasingly familiar to consumers. Their nutritional qualities are praised in numerous advertisements that encourage housewives to know, choose and purchase these fruits for their levels of vitamins, magnesium, antioxidants or micro-nutrients. The trend towards linking the quality of this produce with health has led scientists to focus research on the techniques that conserve these qualities for the consumer and enable their improvement during production and harvesting in the producer country. - the use of conservation techniques that allow for consumer requirements and wishes, with maximum use of natural substances or the limiting of storage techniques whose effects on human health are not yet known. The importance of the storage of tropical fruits under modified atmosphere. Application to mango. The principle of storage under modified atmosphere (that is to say that differs from the normal composition of the ambient air) is based on the one hand on knowledge of the respiratory physiology of the produce to be packed and on the other on knowledge of the packing material itself (structure, composition and permeability). This modification of the atmosphere surrounding produce can be achieved either by using a selective or micro-perforated plastic film or by applying a coating whose properties must be equivalent to those expected of a packaging film (greater or lesser permeability to oxygen, carbon dioxide and ethylene). Modified atmospheres are used to slow the different evolution metabolisms of fruits, whether this involves the respiratory metabolism or the different biochemical reactions that take place during maturation. For the moment, these techniques can only be envisaged in combination with chilling and confer a considerable advantage in comparison with cold alone. Indeed, there is a trend to subject produce to temperatures that are much too low-often through wishing to optimise and ensure the effect of cold-causing chilling injury (tropical produce is particularly susceptible to this); the addition of a film or coating can reduce fruit susceptibility to low temperatures. Furthermore, it reduces fruit weight loss (by limiting desiccation) during transport and storage. Research at Cirad-flhor is focused on the testing of films and coatings in order to reply to the questions raised; its final objective is to enable the sea transport of practically ripe fruits. The positive results obtained are being validated at the commercial scale for a pre-selected type of coating. The presentation of some results for mango, with discussion of the advantages and disadvantages connected with the choice of film or coating. French regulations concerning post-harvest treatments of tropical fruits and vegetables. Fruits and vegetables from tropical regions are transported for long distances. This sometimes means long transport times (by sea) and often phytosanitary risks related to the presence of parasites and pests different to those of the consumption zone and that may appear in lists of quarantine organisms. Various chemical natural substances and various techniques can be used to conserve the quality of the fruits and vegetables shipped (appearance, flavour, etc.) and to prevent phytosanitary risks. The substances must be used within a strict regulation framework that is regularly revised according to knowledge concerning these substances and their impacts on the health of consumers or users and on the environment. The regulations concerning the use of chemicals are applied at two levels: entry of the substance in a community positive list and its marketing authorisation awarded to commercial products by each member-state. This concerns only applications performed in the territories of the member-states; the residual level of the product on or in fruits and vegetables. The state of the regulations applied in France is examined with regard to food additives and post-harvest treatments authorised for unprocessed fruits and vegetables and quarantine phytosanitary treatments. 8. labelling: barcode or PLU code (an essential service for the distributor), etc. Quality is not necessarily perceived in the producer country. Specific client requirements must be taken into account. The British, the Germans and the French do not perceive quality in the same way; their culinary histories are not the same. Neither is there any question of having fibrous mango with a strong taste of turpentine, for example, etc.). Ripeness is essential, and must of course be handled in conjunction with storage. Throwing produce away on arrival is very expensive. Rigorous taste tests must be used. Customers travel and are beginning to know the good taste of fruits picked from the trees, and which they do not find in the shops. 1. Taste quality fruit by fruit: non-destructive quality testing is in the starting blocks, etc. 2. Controlled, mastered taste quality: sugars, acidity, juice percentage, firmness, aromas, texture, etc. 4. Exceptional varieties not yet known to consumers and distributors (outside producer countries). 5. A specification containing a description of the crop management sequence and the efforts made to ensure good traceability, the smallest possible amounts of residues of pesticides, hormones or growth activators, preservatives, etc. 6. 'Clean' packaging: environment friendly, recyclable, recycled, etc. 7. Ready-to-eat with guaranteed ripeness. The optimisation of the packing of fresh fruits and vegetables under modified atmosphere requires a rigorous approach. It is first necessary to measure the respiratory parameters of the produce (O2 and CO2 respiratory intensities, the respiratory quotient, the apparent Michaelis constant for oxygen, the carbon dioxide inhibition constant and the influence of storage temperature on all these parameters). These measurements make it possible to calculate the respiratory intensity of the produce under all conditions of temperature and atmosphere. The second stage is the determination of the most favourable gas composition for maintaining the commercial and sanitary qualities of the fruits and vegetables concerned. This determination requires storage under controlled atmosphere and the results depend on the weighting of the different deterioration processes. Finally, a mathematical model is used to calculate the optimum permeabilities of the film to be used under the storage conditions entered in the model. Various software is used to simulate storage (the evolution of atmospheres) using the films available on the market and that display permeabilities similar to those previously calculated. At this stage, the functioning of the system can be verified by simulating the thermal profile of a realistic commercial channel. Finally, it is essential to verify these theoretical results by experimental work as no model is yet capable of forecasting all the types of deterioration possible. Shipment and storage of tropical fruits is difficult because they cannot tolerate low temperatures that are often used in the case of temperate fruits to slow down ripening and extend the shelf life. For this reason, tropical fruit are often shipped by air rather than by land or sea, which increases costs to consumers. Edible coatings with moderately low storage temperatures are an economical alternative. Use of polysaccharide coatings on fruit results in a modified internal fruit atmosphere of relatively low oxygen and high carbon dioxide from the combined effects of coating permeability and fruit respiration. This modified atmosphere slows down ripening processes. In addition, all fruits lose water to the storage atmosphere resulting in a shriveling of the peel. This can be reduced by providing a barrier to water vapor, such as a wax or lipid edible coating. Finally coatings can carry antimicrobial compounds, or act as a physical barrier to pathogens, reducing fruit decay. Often coating formulations are composite films made up of combinations of ingredients. Some examples include use of a sucrose ester film (SemperFresh) on loquat, tangelos, pineapple, and banana; carnauba wax on guava and mango; mineral oil on limes; and a cellulose-based film (Nature Seal) on guava, mango, and oranges. Litchi is a fragile fruit that does not keep for a long time. Stored at ambient temperature, it loses its pinkish red colour in a few days and browns very rapidly. This classic enzymatic browning is revealed by cell delocation. Cold results in only a very modest increase in conservation of the red colour and adjuvants must also be used to maintain the initial colour. The most commonly used method for preventing browning is the fumigation of fruits with SO2 a few hours after harvesting. SO2 treatment of litchi is sometimes followed by soaking in an acid bath that restores the red colour after decolorisation by sulphur treatment and results in commercially attractive fruits. However, it must not be forgotten that the use of SO2 can be harmful or allergenic for consumers sensitive to sulphur. Today, SO2 treatment has been totally eliminated in the United States, except for the treatment of table grapes. In France, the legislation permits residues of 10 ppm in litchi pulp and 250 ppm in the shells. As the trend is towards the precaution principle, it is very likely that these levels will be lowered or even that the use of SO2 may no longer be authorised in the EU. In this context, it is particularly important to be able to propose substitutes for fumigation to the profession, especially as France is the main destination and consumer country for litchi, with nearly 80% of the European total. The replacing of sulphur treatment has been studied by different research teams, in particular in Israel and South Africa. The treatments proposed are based on various chemical or thermal techniques. None of this research has yet led to a method that is acceptable or has been developed commercially. In the light of these observations, Cirad-flhor is exploring new lines of research on conservation techniques that would totally eliminate the use of SO2.